April marks our 1st anniversary in our new northern base, just outside the market town of Kirkby Lonsdale, Cumbria. Our new office gives us more desk space, improved facilities and IT infrastructure and a better working environment with views over open countryside. The building was a shell and required a full refurbishment before we could move in, however things soon started to take shape. Finished with light oak and glass partitions, the result is an office which has a light, spacious and modern working environment. Our branding, stationary and website has been refreshed over the past year and we have upgraded our IT, systems and processes. We have invested in developing and training our staff and have welcomed new, high calibre additions to the team. Our client base continues to grow with new business relationships with both blue chip and local clients. In addition to new clients, our existing long term client relationships continue to thrive. We have enjoyed a number of high profile successes from major, international cross country pipelines to windfarms, to working with HS2 and to various projects in the Lake District. Whilst there have been many positives and cause for celebration over the past year, we have also had to deal with some sad and difficult times. 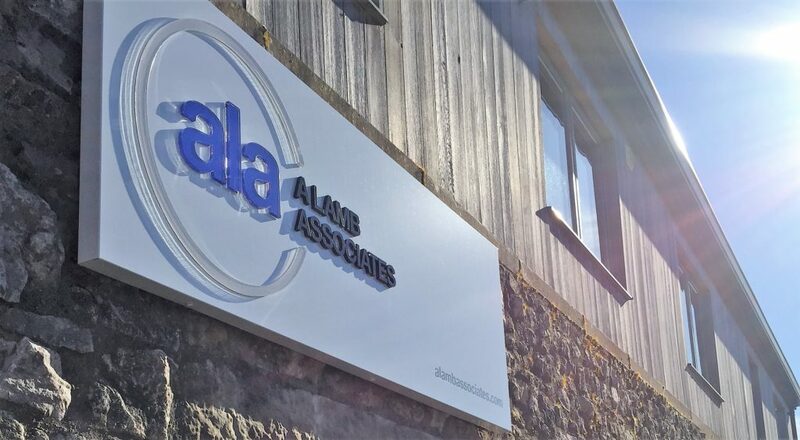 The ALA team has adapted and pulled together over this transition period, whilst we move forward implementing our ambitious plans for growth. Exciting times lie ahead for us, with new opportunities presenting across the UK and Internationally in a variety of industry sectors; including rail, highways, gas, oil, electrical, nuclear and general civil engineering works. We currently have multiple vacancies and are interested in hearing from ambitious, talented individuals to join our team. Connect with us on LinkedIn, or visit our website to keep up to date with our latest articles, news and information.